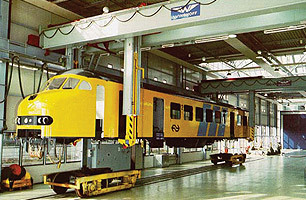 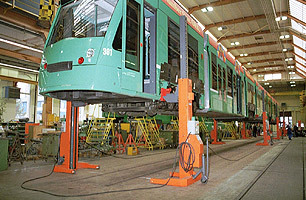 Mobile column lift for light railway vehicles, 7.5 / 8.2 t per column, fully wireless by battery drive and radio communication, load support by fixed bracket to lift at the chassis, maximum 24 columns to work within one lift set. 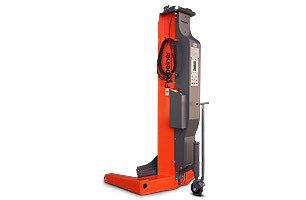 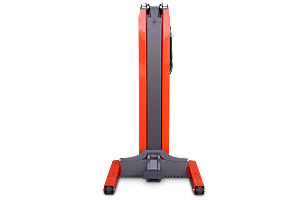 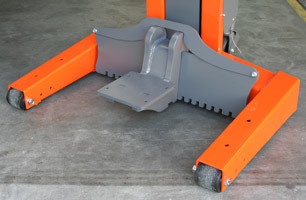 You have the ability to move these to any location within your workshop or even outside your workshop, no need to worry about connecting a power point. 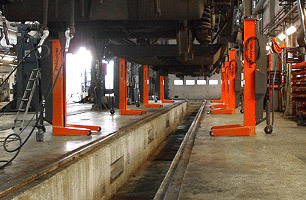 With the removal of column connection cables the safety of the staff provide extra peace of mind. 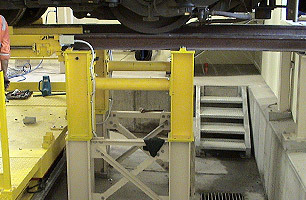 Optional control panel to interconnect 2 lift sets (max. 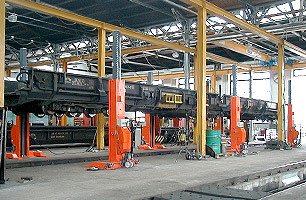 20 columns).